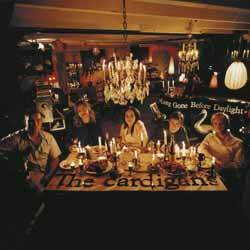 Long Gone Before Daylight (2003) is The Cardigan's fifth studio album and sees the band's style shift to more of a mellow sound. This is miles away from the band's origins, with them moving closer to alternative rock with a toe planted in country music. The opening 'Communication' sounds not dissimilar to the style of pop songs that Natalie Imbruglia was releasing at around the same time. Nina Persson's vocal's are almost unrecognisable, with a more Chrissie Hynde edge to them. In fact, if you didn't know, you'd think that it was another singer entirely from the one that performed on the first two albums. Long Gone Before Daylight contains 11 tracks (49 min, 12 sec) and the transformation, for me, is welcomed. This is a much more mature and serious album. This is a release that will grow with you. The earlier albums are firmly rooted in the past, whereas this album could be released today and you wouldn't find it out of place. The diversity from track to track also help to make this an enjoyable release.